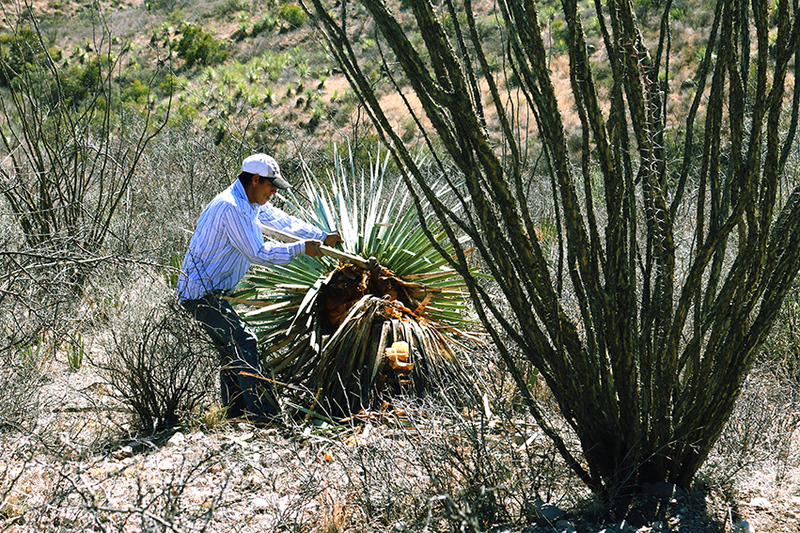 Before harvesting the sotol plant, they have to identify the ripest plants, as these have the most amount of sugar, thus producing the best Sotol. 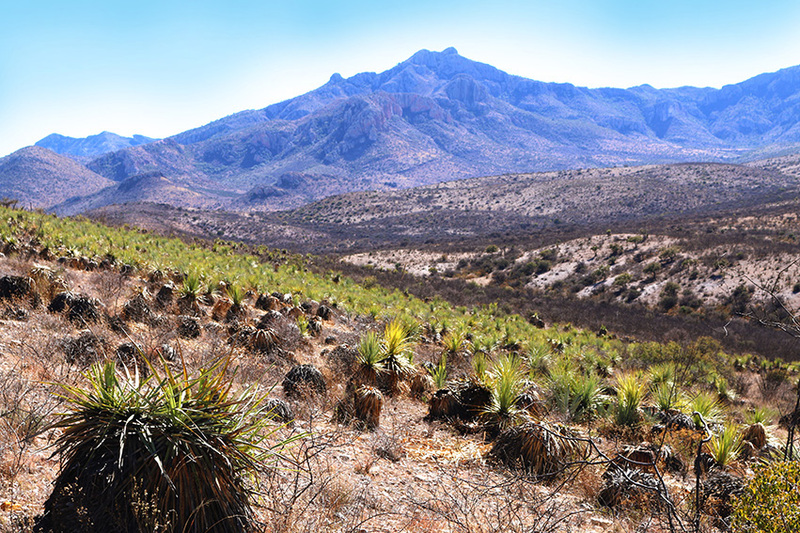 The ripest desert spoon plants are then shaved clean from their leaves and removed from their base, using a sotol machete, leaving just the hearts or the piñas of the plants. 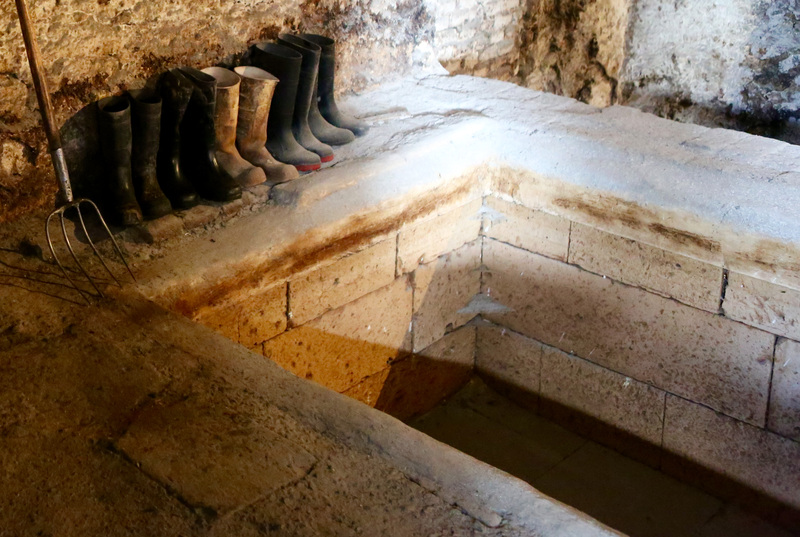 The piñas are then cooked in in underground lava rock lined ovens, to transform the starches into fermentable sugars. To cook the heart of the plants we use endemic woods like mesquite and acacia giving this sotol a very unique flavor. 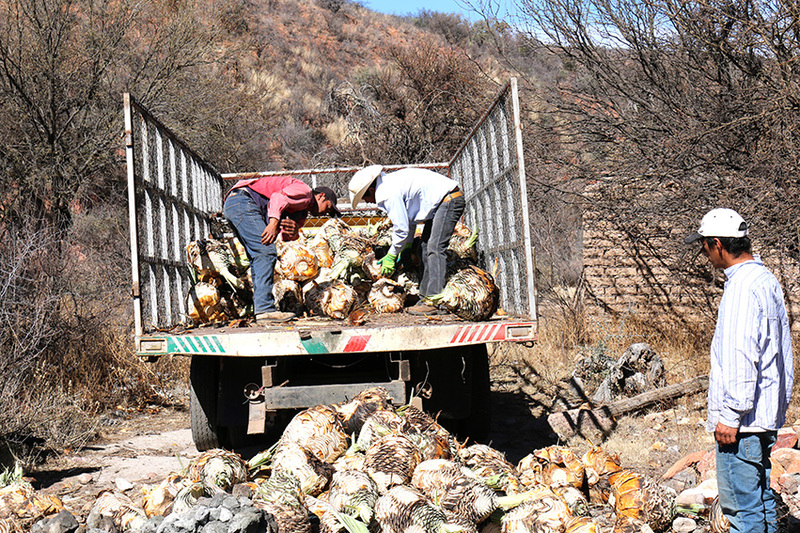 The cooked piñas are then crushed by hand, as the yeasts and other microorganisms need to have as much contact with the sugars within the fibers to convert to alcohol. The mashed sotol and its juices are then macerated in open air concrete vats. 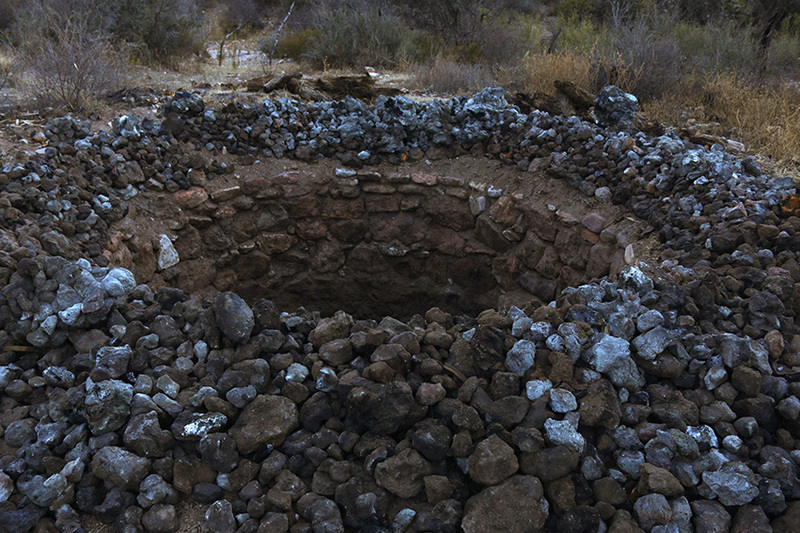 These are ground level in order to maintain a more constant temperature as this desert climate will have very large temperature shifts. The natural yeasts will convert the sugars into alcohols in a period of 4-5 days on average. Once the yeasts have consumed all the fermentable sugars to alcohol, the entire contents of the fermentation tanks are put into a copper alembic still. 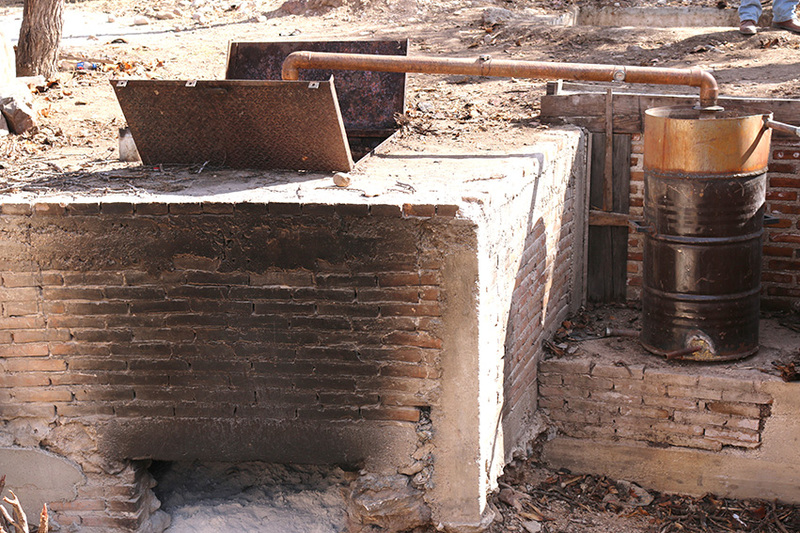 Using a wood fired still this sotol goes through two distillation runs removing the congeners from the heads and tails.